Our Home Is Your Home! Shop, Dine & Stay on the shores of the Laguna Madre Bay! Port Isabel is proud to host the Lighthouse Market Day on the grounds of the newly restored and historic Port Isabel Lighthouse! For vendor information, click here> vendor-application. To reserve space contact Jeannie Flores – email museumdirector@copitx.com or call 956/943-7602. Booth 18 – Elvia Vargas “Elvia’s Little Jeans” – Jewelry, Homemade Décor, Etc. Vendor Info: vendor-application. Call Jeannie Flores at 956/943-7602 for more information. 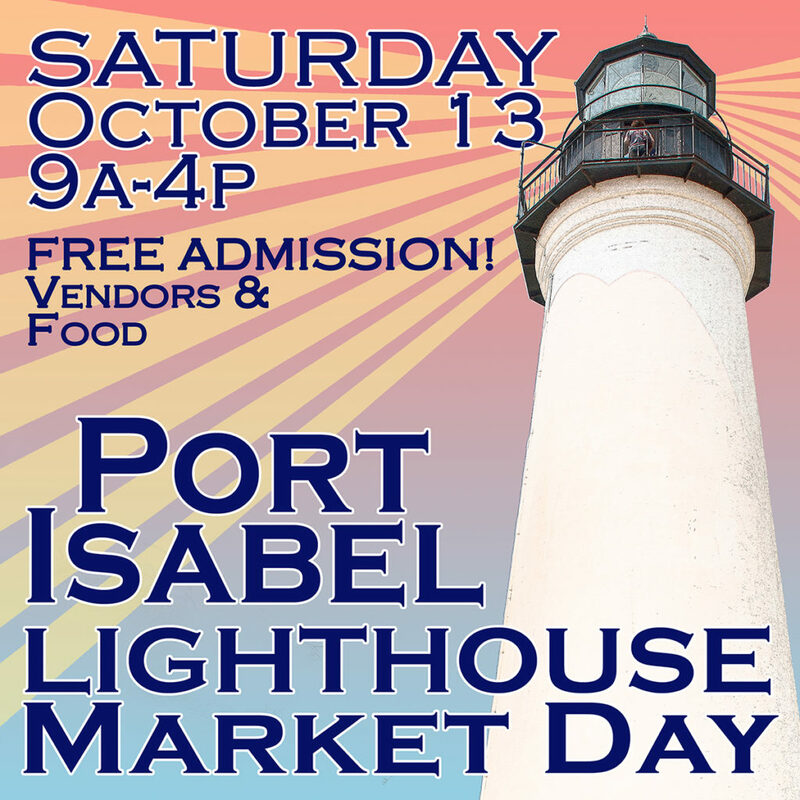 On Saturday, October 10, 2015, the City of Port Isabel and the Port Isabel Museums will be hosting their annual Lighthouse Market Day from 9 a.m. to 4 p.m. on the Lighthouse grounds. Vendors on the Lighthouse Square will be offering a variety of food, antiques, arts & crafts, art and more. For vendor information, click here. Special admission prices to museums! The Port Isabel Historical Museum and the Treasures of the Gulf Museum will be open from 10 a.m. to 4 p.m. and will have a special admission price of $1.00 for each site. 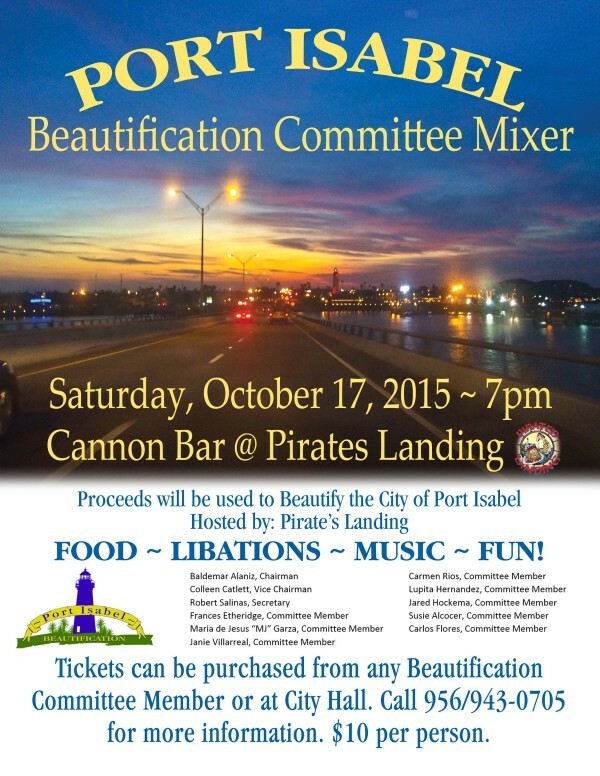 Come join in the fun, enjoy historic Port Isabel during Lighthouse Market Day. Vendor Packet: vendor-application. For more information contact Jeannie Flores, Museum Director at 96/943-7602 or email museumdirector@copitx.com. Telling Our Stories! Pachanga! Lighthouse Market Day! Beautification Mixer! Welcome to Port Isabel and Welcome to the Coast! #TBT and here’s a look back nearly 100 years ago! 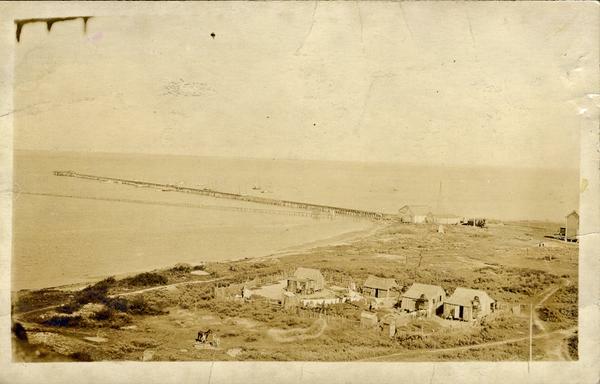 Taken from the top of the Port Isabel Lighthouse towards Pelican station in the early 1920s. There is a train on the track loading and unloading for the trip back to Brownsville. Laundry on the lines, horses in the backyard, no electricity or paved roads. Running water meant you had a well or waited for the aquadores to deliver water to your house from the wells at Polangana… For more about Port Isabel history, visit the Museums of Port Isabel! 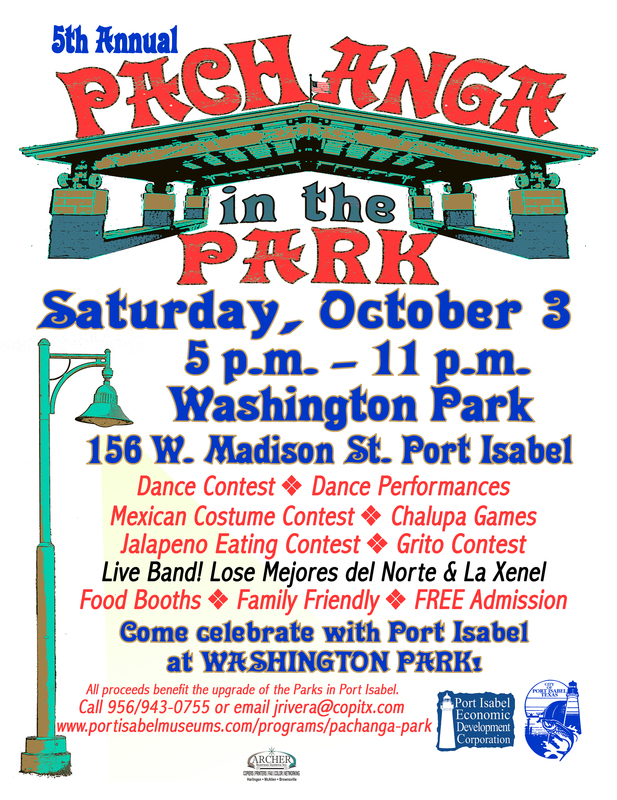 Come celebrate with Port Isabel at Washington Park! The 5th Annual PACHANGA in the PARK is scheduled for the first Saturday in October. Live music by Los Mejores del Norte & La Xenal! Lots of contests, kiddie rides, great local food, vendors and family fun! Free event admission. For vendor information contact Jeannie Flores at 956/943-0755 or by email:jrivera@copitx.com. For sponsorship information contact Robert Salinas at 956/943-0705 or email edcadministrator@copitx.com. The Museums of Port Isabel and the Laguna Madre Museum Foundation are proud to present its “Telling Our Stories” Series of 2015 on Thursday, September 24th, at the Treasures of the Gulf Museum, 317 East Railroad Avenue at 7 pm. This month’s topic will be on “The Turtle Lady Legacy”. Mary Ann Tous, niece of famed Ila Fox Loetcher aka “The Turtle Lady”, who began her work on sea turtle conservation in 1965 and was a pioneer in her field by playing a vital role in protecting the Kemp Ridley Sea Turtles, will give a presentation on the history of the Kemp’s Ridley Sea Turtles and the efforts that go towards their protection. Illa was a major inspiration on her niece Mary and in 2005, Mary Ann Tous founded a non profit organization called “The Turtle Lady legacy”. Their goals are to educate and continue the safety and conservation of majestic sea turtles by following in Illa Fox Loetscher’s footsteps. Recent events causing a massive oil spill in the Gulf of Mexico are threatening these marine animals and their nesting habitats. Please join us as we learn about “The Turtle Lady Legacy”. All locals and visitors are welcomed to attend this free presentation. Complimentary drinks and hors d’oeuvres will be provided. Free admission. For more information on Telling Our Stories or to help sponsor an event, contact Jeannie Marie A. Flores at (956) 943-7602 or visit www.portisabelmuseums.com or you may also send an email to jrivera@copitx.com. Sunday, October 4, from 9 a.m. to 4 p.m., Port Isabel Antique & Flea Market. Beulah Lee Park on Highway 100. Dozens of dealers & thousands of deals! March – October: 1st Sunday of the Month. 1st & 3rd* Sunday 9a-4p November – February. FREE ADMISSION! For more information: Gloria Bates 956/455-6798. LIGHTHOUSE MARKET DAY. Saturday, October 10th, from 9 a.m. to 4 p.m. on the grounds of the Port Isabel historic lighthouse. Vendors and festive, family fun. (956) 943-0755. DAY OF THE DEAD CELEBRATION. October 29 – 31. Thursday (29): Telling Our Stories. Friday (30): Gallery Artist’s Reception. Saturday (31) Halloween: Day of the Dead Celebration at the Port Isabel Event & Cultural Center. (956) 943-0755. LIGHTHOUSE MARKET DAY. Saturday, October 10 from 9 a.m. to 4 p.m. Great family fun at the historic Port Isabel Lighthouse Square! Vendors and food and sales at downtown shopkeepers. Call 956/943-0755 or email jrivera@copitx.com for more information. The Museums of Port Isabel and the City of Port Isabel invite you to enjoy a day filled with live entertainment, vendors, food, family fun on the grounds of the Historic Port Isabel Lighthouse! Queen Isabella Market Day is scheduled for Saturday, April 16th from 9 a.m. to 4 p.m. There is no admission charge to the event. 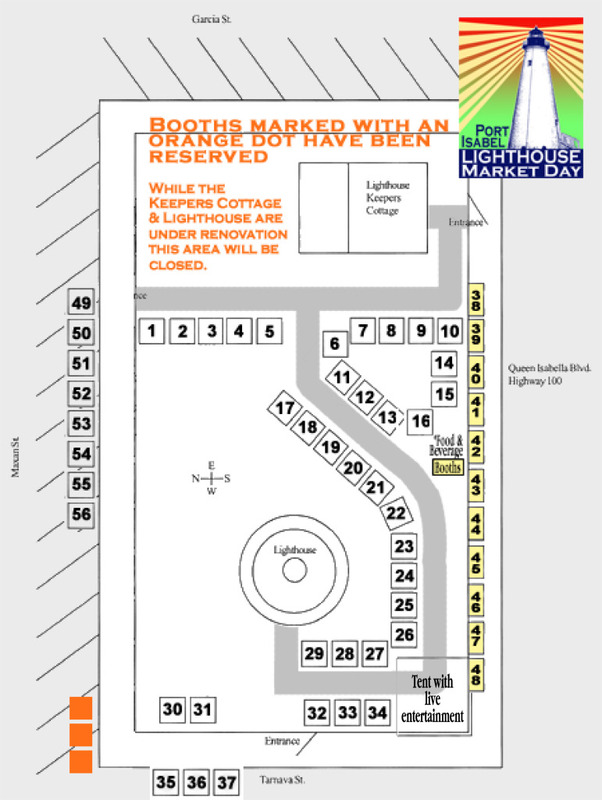 Vendors offering collectibles, antiques, local art, jewelry and more will be lining the sidewalks around the lighthouse. A tent with tables and chairs near the live entertainment will offer the opportunity to sit down and relax while enjoying some tasty tamales, baked goods or other dishes local vendors and restaurants will be offering. Or just roll down the grassy hill of the lighthouse! Relax and let us entertain you during a family fun day in Port Isabel! 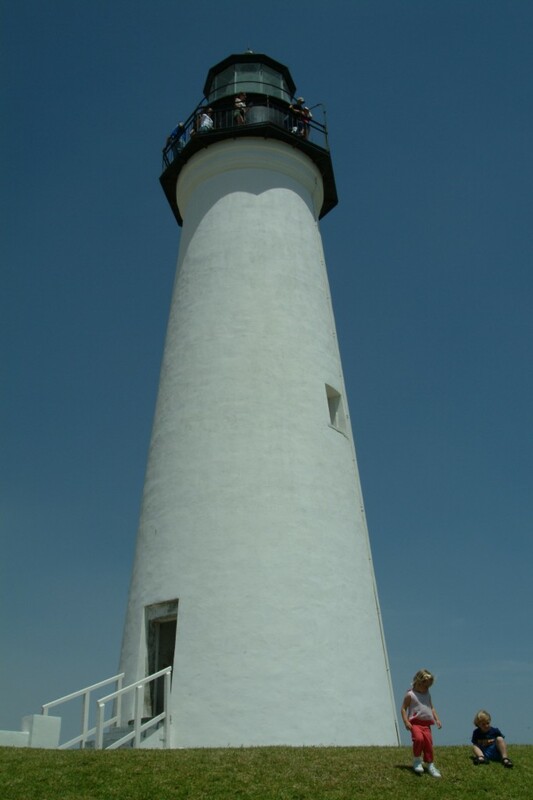 The Port Isabel Lighthouse will be open from 9 a.m. to 5 p.m. and admission just $1.00 during Market Day. And plan to visit the Port Isabel Historical Museum and the Treasures of the Gulf Museum, just a short walk across Highway 100 where admission is also just $1.00 to each site. If you are interested in a vendor booth, please call the Museums of Port Isabel, Jeannie Marie A. Flores at 956/943-7602 or email jrivera@copitx.com. For more information, click here: http://portisabelmuseums.com/mopi/programs/queen-isabella-market-day/. ©2014 Port Isabel, Texas. All rights reserved. Contact: Valerie D. Bates, Marketing Director. Email: info@portisabel-texas.com.